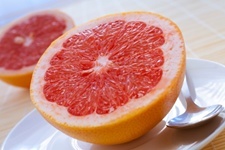 Antioxidant for Health - What Grapefruit Means for Diabetes Therapy? Here’s a bitter new truth for diabetes. Well, not bitter in the negative sense. We’re putting a positive spin on bitter this time. There is an antioxidant called “naringenin.” It comes from the substance that causes the bitter flavor of grapefruits and other citrus fruits. This antioxidant may cause the liver to break down fat. At the same time, it may boost insulin sensitivity, a process that naturally occurs during long periods of fasting. This “fascinating” find by researchers in both Jerusalem and Boston may have great influence in the treatment of diabetes and even obesity. The research team reports that naringenin activates a family of small proteins called nuclear receptors. This causes the liver to break down fatty acids. This action seems to mimic the actions of other drugs, including cholesterol-lowering and anti-diabetic drugs. Should the results of this study extend to human patients, it will be a tremendous breakthrough. The liver is the main organ responsible for regulating carbohydrate and fat levels in the blood. When you eat, the blood gets flushed with sugars, which causes the liver to create fatty acids for long-term storage. When the body fasts, this process is reversed: fatty acids are released by fat cells, the liver is activated, fat is broken down, and there is an increased sensitivity to insulin. The researchers say the process is similar to what happens with the Atkins diet, but without side effects. Naringenin makes the liver behave as if it’s fasting, breaking down fats instead of carbohydrates. What’s more is that naringenin is already a supplement and has a clear safety record. It could help protect the liver from damage and trigger a change that many drugs tryto achieve. But those drugs have big safety concerns. Score another round for natural medicine. Grapefruit’s bitter taste is caused by the flavonoid “naringin,” which the body breaks down into naringenin. This study proved that this substance could increase the breakdown of fat and inhibit the production of LDL (“bad”) cholesterol. This one just may be worth your time and dollar.